To say it’s a slow day at Playa Largo Resort’s water-sports tent would be an insult to slow. Like saying Blockbuster Video’s having a slow decade of sales. Four eager guides are sitting on a brochure-covered desk, waiting behind polarized Oakleys for someone, anyone, to show up. The air is heavy and hot, and unlike most days in Key Largo, there’s not even a hint of a breeze. One strolls over to the dock and casts a fishing line into the water. He takes a sip out of his Yeti as his colleague on the dock reels in a baby mahi. The scene at the luxe, brand-new Playa Largo isn’t unusual in the Florida Keys these days. 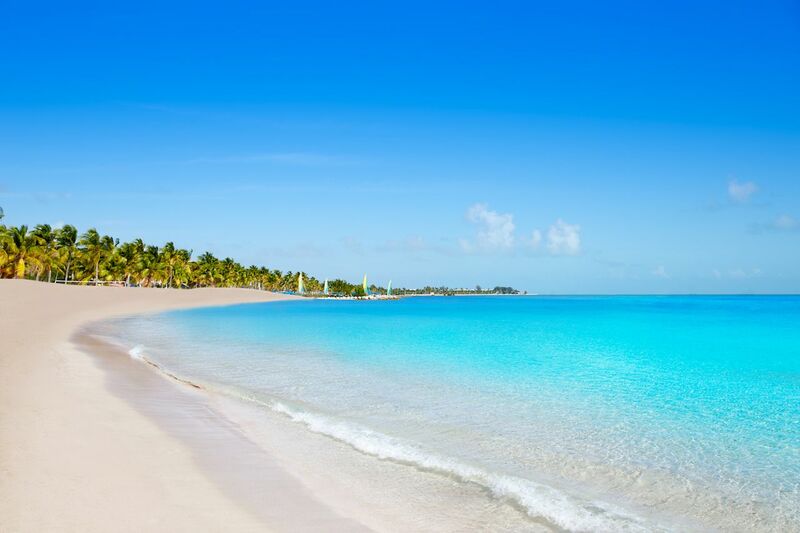 While resorts like Playa Largo were left relatively untouched by Hurricane Irma, and have been open for business since last fall, America still seems to think the Keys are completely shut down — leaving an island chain full of shiny new resorts eerily empty. The prettiest drive in America gets prettier, with sparkling new resorts all to yourself. 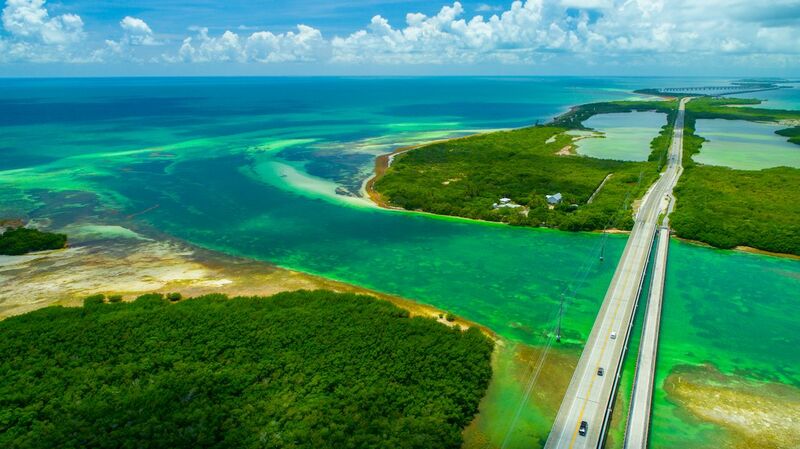 The drive to the Florida Keys down the Overseas Highway has always been spectacular, with aqua-blue water stretching to the horizon in all directions. And on many days, you had plenty of time to take in that view, as thousands of cars clogged the two-lane road. But traffic is lighter now, and as Irma knocked out a good chunk of the vegetation along this road — creating more unobstructed views of the water — the three hours from Miami to Key West feel like a relaxing float to a tropical paradise. About an hour down the highway from Playa Largo, a nondescript left turn onto Duck Key brings me to the Hawks Cay resort, which reopened the last week of August. It’s an immaculate collection of perfect landscaping and paint-just-dried hotel suites, with bars that haven’t yet developed the trademark Keys stickiness forged from years of sweet drinks and humidity. The family pool has only a smattering of children; the resort’s palm-lined saltwater lagoon is empty. A resort manager takes me over to the Hawks Cay’s dolphin lagoon where a small pod of dolphins lazily jump up out of the water as the sun sets behind them. Nobody had taken them out for a Dolphin Encounter today; they looked almost as relaxed and rested as the guests watching from the boardwalk. If you ever wanted a piece of paradise to yourself, now is the time. That night, an enthusiastic pair of Hawks Cay staff cajoled me over from a sunset fire pit to play trivia. My competition consisted of a young couple from Maryland and their one-year-old. When the one-year-old tired of her virgin Daiquiri, my competition was down to just the dad. “How you liking it here?” I asked the man as we waited for his family to return. He laughed at his own joke and took another sip of his Coors Light. I felt good for him, but not so great for the Keys. Irma caused nearly $6 billion in damages in Florida, according to the state’s Office of Insurance Regulation. But, in the year since then, much of the Keys’ share of that money has been used to create fully modern, updated resorts with cool new amenities. The problem is nobody knows. “The best part about the Keys right now: there’s just so many new experiences,” General Manager Rich McKeown tells me over blueberry mojitos by the pool at Key West’s Havana Cabana resort. Getting the message out has been tough, as Monroe County — where the Keys lie — depends on a four-cent hotel tax to fund promotion of tourism. With the missing revenue from 2017, those funds are a fraction of what they were before. So explaining to America that the Keys isn’t only back but also better has been a challenge. Cruising the Keys, I found that not much isn’t open after the storm. The famous Tiki Bar at Holiday Isle is still closed as is the sprawling, swampy Hilton next door to Playa Largo. Anne’s Beach is shut down as is about half of Bahia Honda State Park, the Keys’ lone postcard-worthy beach. But even there people have set up lawn chairs in the shallow water to enjoy the view of the old bridge just like they did a year ago. New beaches, new restaurants, and vastly improved service. The beach at the Amara Cay resort in Islamorada is new. Not that there’s anyone sitting there, necessarily, but it stands as an Instagrammable example of what hotels have done to improve after the storm. 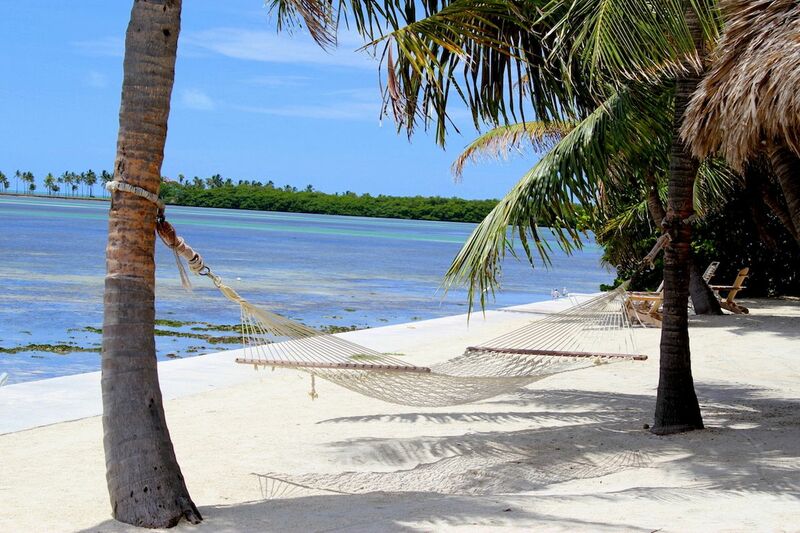 Like many resorts, Amara Cay took its flood damage and created a new attraction, transforming the old back patio into sand-strewn waterfront, complete with hammocks and lawn chairs set along the turquoise water. Its new restaurant, Ciao Hound 84, is an Italian spot as good as anywhere in Miami. It sits a couple miles up the road on the Postcard Inn’s property, which is still closed. My empty shuttle arrives in an eerily dark parking lot with a lone lit-up restaurant in the middle. Though the restaurant is uncharacteristically packed, the service is impeccable — another common thread I found in the post-Irma Florida Keys. 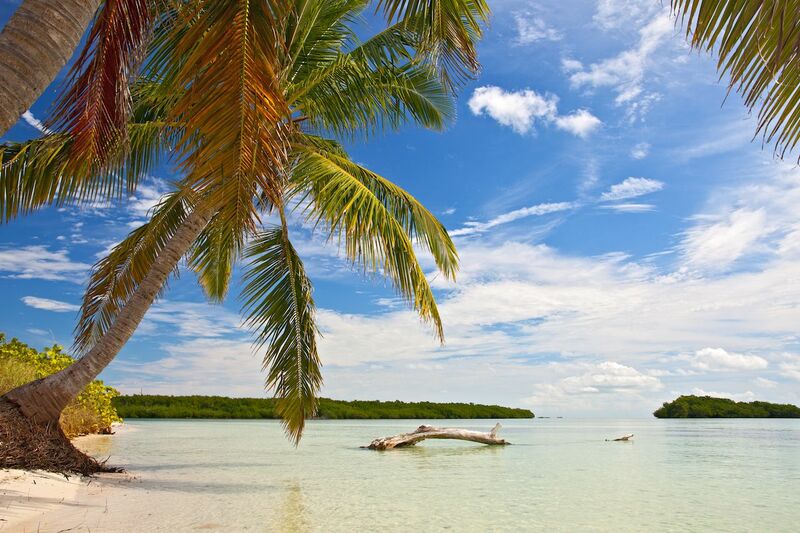 As my guide at Playa Largo hinted, getting tourists back to the Keys has been a challenge. But getting people to work here has been even harder. As hotels took time to rebuild, hospitality workers left the Keys to find work, leaving the islands in a serious staffing crunch. What’s resulted is an influx of employees from other countries, coming to Florida on J1 and student visas to learn hospitality and return home. The lack of staffing has also led to higher wages for hospitality workers, which logically means the service will be better. For example, Taplas told me that a few years ago a starting cook at his previous employer would make $12 an hour. The starting rate at the Perry is $19. It showed in nearly every resort I visited. Perhaps it was also because there weren’t many other guests competing for my attention, but every resort felt like five-star accommodations. Pool attendants brought drinks at just the right time. I never waited for a server. Front desk people were friendly and helpful. And no one seemed offended that tourists were intruding on their pristine island marshland. You’ll only be sharing the Keys with the locals. The pool at the Perry, which is in Key West, was a little livelier than the scene in the upper and middle Keys, with the industrial-chic boutique hotel packing people into the bar outside Matt’s Stock Island Kitchen on a Friday night. Taplas credited much of this to the hotel’s appeal to locals, offering happy-hour specials at the outdoor bar right when people return to the hotel’s marina from full-day fishing trips. Attracting locals seems to be a popular way of buoying business until the rest of the world catches on to the Keys. Just past the entrance to Key West, the Cuban-themed Havana Cabana has opened its lush lagoon pool to the public. And on a Sunday afternoon in typically stymied September, every poolside chair was filled. People swam under the pool’s waterfall and crammed the bar ordering mojitos and empanadas from the hotel’s new food truck. It felt like a little slice of South Beach a couple hundred miles south. The hotel was formerly the Hotel Key West, but after a six-foot wall of water wiped out the lobby during Irma, it closed and reinvented itself in a Cuban motif — complete with 1957 Chevys parked out front and forthcoming private-jet day trips to Cuba. On Key West, only the Parrot Cay resort and Key West Bayside Inn remain closed. But up and down the Keys nearly every other hotel has something new, be it a restaurant, attraction, or private beach. Though the storm put a dent in the Keys’ monstrous tourism figures, they’ve not only rebuilt but also come back with better hotels, better service, and, for now, fewer people. Word may not have reached all of America quite yet, but use that to your advantage. Because if there’s one thing that makes the Keys even more relaxing than they already are, it’s not having to share them with anyone.